How do you get your hands on the nightmarish Fortnite Ruin skin? 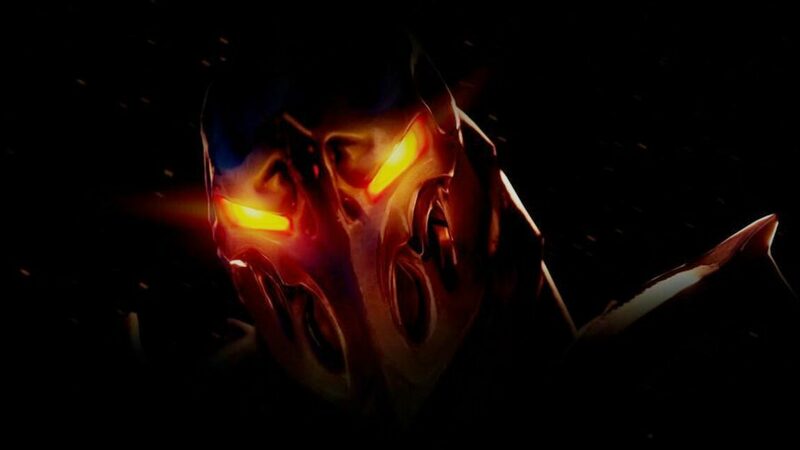 If you’ve been playing Fortnite over the past couple of weeks then you will probably have noticed a cryptic item appearing in the news section of the menu, a mysterious new character called Ruin. This set in motion a huge community-driven hunt to find out how to unlock the Ruin skin, including a dig site at Dusty Divot that initially revealed a secret cavern full of treasure chests and then a pool of lava. Well, turns out this has nothing to do with unlocking the Fortnite Ruin skin as Epic Games confirmed recently that the new character is in fact the Fortnite season 8 Discovery skin. If this all sounds familiar, that’s because it was only a few weeks ago that we were detailing how to get your hands on the Fortnite Prisoner skin, which was the reward for Fortnite’s Snowfall challenges. The process seems very familiar for season 8, which hopefully means Fortnite’s Ruin skin will come with plenty of unlockable styles just like season 7’s Prisoner. So, how do you unlock Ruin and when does the Discovery skin release? Keep reading for everything we know about the new skin. 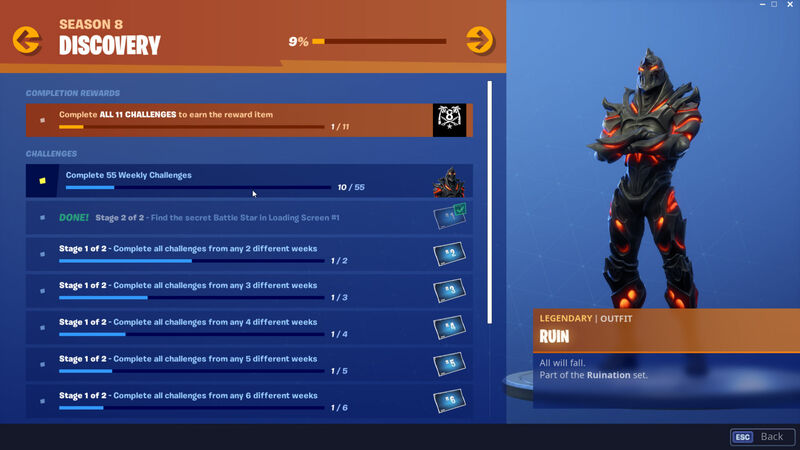 To get this skin you’ll need to complete 55 weekly challenges – you can check your progress in the challenges tab of the main menu. Every week we get seven new weekly challenges, four of which are free to all players while the remaining three are exclusive to Battle Pass owners. If you run the numbers, that means Battle Pass owners will be able to unlock the skin in week eight, which is the earliest possible time you can unlock the skin provided you’ve completed every challenge in the previous seven weeks, plus one from week 8. For Fortnite players who don’t have the season 8 Battle Pass it would take 14 weeks of challenges to hit the 55 weekly challenge requirement, so unfortunately the Fortnite Ruin skin is for dedicated Battle Pass players only. As for the Fortnite Ruin skin release date, week 8 should arrive on April 18, 2019. It’s worth keeping on top of your challenges this season if you do have the Battle Pass as you can only unlock the skin while season 8 is still active.